Grand Designs Live Show – are you going? Have you ever been to the Grand Designs Live show before? If the answer is no, then you really need to get yourself down there. Particularly if you are about to start a home renovation, mid home renovation or just love housey things! Just like last year, the show started with a bang. We are ready and waiting at our stand L1 and cannot wait to see you. 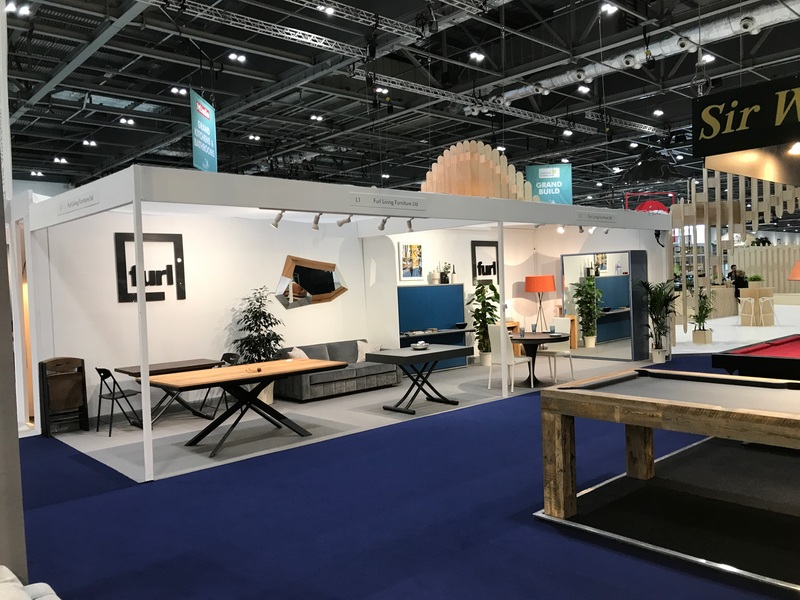 This year we have with us lots of amazingly multifunctional tables, a sofa bed, a horizontal wall bed and a vertical wall bed with hidden storage. In fact you might even miss the vertical wall bed as it’s door is a mirror! Our Allwood table has been taking the show by storm. Right at the front, it has been taking centre stage some what. But then you can’t blame it really – it is show stopping. In a contemporary cement finish, with industrial-esque graphite legs, we find it hard to find a home that this wouldn’t fit like a glove. 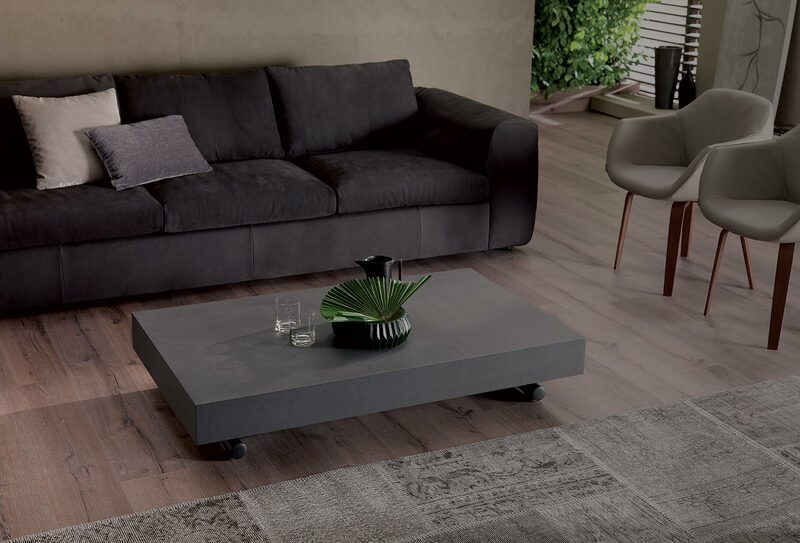 A coffee table, to a 4 seater, 6 seater or even 8 seater dining table, this table is the definition of multifunctional. Whilst remaining beautiful all at the same time. We cannot wait to hear which our products you think is your favourite from this years grand designs live show. Tweet us, chat to us or visit our showroom in London to let us know. Our Vasca sofa bed is becoming a close favourite. Not only for those in need of a little perch, but a quick nap for those who have really hit the show hard! Don’t worry, if you fall asleep on any of our products, we take it as a compliment. The grand designs live show is our home for the 5 days, and having had 4 smashing days so far, we have sort of forgotten about our feet feeling a little tired. Please excuse our ‘comfort over style’ shoes! We usually look much more stylish I promise.